Cha...Cha...Cha...CHIA - Real Food. Real Fitness. Raw chia seeds have officially made a comeback and I’m not talking about the clay figurine house pets that grow hair. These nutrient-rich superfood seeds are being praised for their amazing health benefits. So what exactly are Chia seeds? Chia seeds come from a plant whose scientific name is Salvia hispanica that grows in southern Mexico, Central America, and certain southern South American countries like Bolivia. Chia seeds have a long history of use as human food. It was domesticated by ancient Mexicans in 2,600 B.C. For centuries this tiny little seed was used as a staple food by the Indians of the Southwest (US) and Mexico. The seeds are smaller than sesame seeds and can range in color from white to brown and even a grayish tint yet all are the same nutritionally. They have a mild nutty flavor and can absorb up to ten times their weight in water leading to a gel texture when soaked. Chia seeds have tremendous nutritional value and medicinal properties. Here are few great reasons to eat them EVERYDAY! The gel (soaked chia) that is formed in the stomach creates a physical barrier between carbohydrates and the digestive enzymes that break them down, thus slowing the conversion of carbohydrates into sugar. Beneficial to those people with diabetes. ATHLETES, RUNNERS, ETC LISTEN UP!!!! 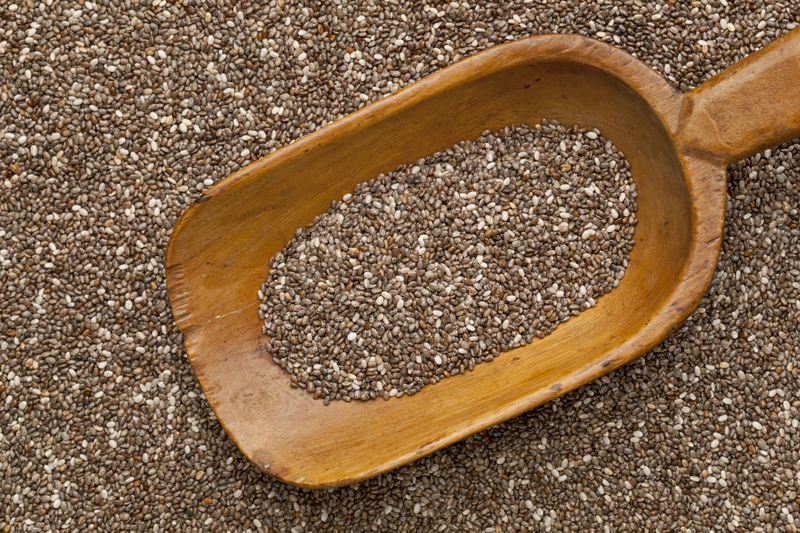 Raw chia=Raw energy and is often called “runners food”. Marathoners and other elite athletes have paid particular interest to chia seeds due to chia’s endurance and hydrating qualities. The seeds can absorb up to ten times their weight in water and that physically slows down the process by which our bodies convert soaked chia seeds carbs into simple sugars. Hence longer endurance due to long-term energy stores from Chia Seeds. Chia seeds contain twice the potassium content of bananas therefore very helpful in preventing muscle cramps! How can I incorporate chia seeds into my daily diet? Chia tastes great sprinkled on salads, added to smoothies, and added to plain full fat grass fed yogurt. You can soak Chia seeds in raw milk or coconut milk for about 10 min to create a “paleo cereal”. Add raw coconut flakes, some vanilla stevia, and raw almond or walnut pieces for a delicious snack or meal. 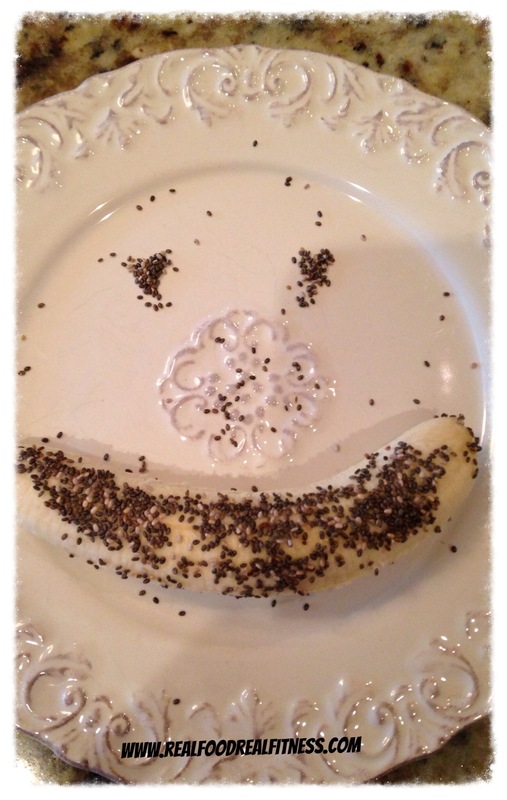 For great pre – workout fuel roll a banana in chia seeds. Chia can be added to any beverage to drink (my favorite being chia and kombucha tea.) Beyond Organic makes a delicious raw sprouted seed cracker containing chia that is delicious! Just be sure to steer clear of processed crackers or chips with added chia as these still are just processed foods. Whatever way you can its well worth it to start adding CHIA into your daily diet!